After Flipkart now Myntra is going to start the year with its Blockbuster sale on different clothing brands and on different styles as well. The sale is one of the Promising sale of the year. 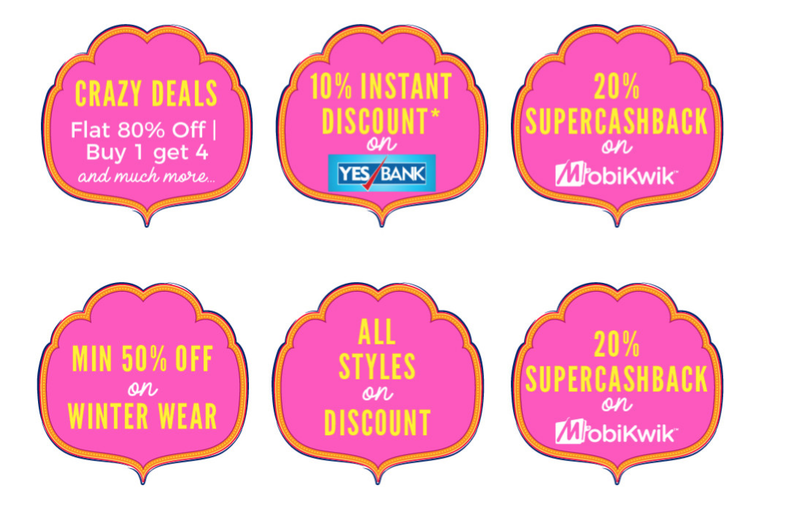 You will get crazy deals and discounts during the sale, also there will be a special discount on YES Bank credit cards. - Crazy Deals (up to 80% off) : In this section, you will get upto 80% on different styles also there will be a offer of buy 1 and get 4.I can bet that these offers will be a steal deal. - 10% EXTRA DISCOUNT - You can get 10% extra discount on Yes bank Credit card.So this is an advantage to Yes bank customers. 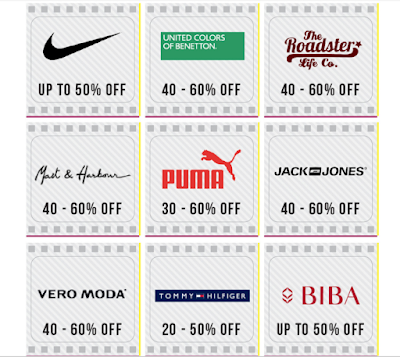 - Minimum 50% off On Winter Wears:-This section of the sale will increase the sale of myntra. As winters are here and customers will prefer to buy winter wear,so there will be at least 50% off on winter wears.And you do not have to worry about the quality, as myntra has good brands with their maintained quality. - All Styles On Discount:- All the celebrity inspired styles that are available on myntra will be on discount during the sale.So you can take the advantage of this opportunity and update your wardrobe inspired by your favorite celebrity style. 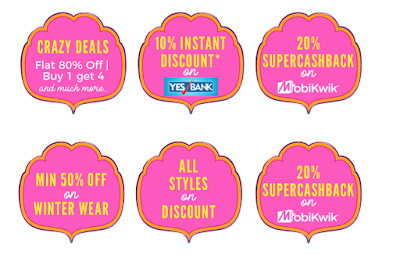 - 20% Super CashBack On MobikWik:- If you pay through Mobikwik, you will get 20% extra cashback in your mobikwik wallet.So you can avail this offer and make your purchase a steal deal. - 30% off + 30% Cashback From OYO money:- If you place an order and pay your bill by using OYO money, you will get extra 30% off on your purchase.This thing is possible in this sale since OYO is the official partner of myntra for the sale. Similarly you will get some cashback on Grofers and Lakme Salon based on the terms and conditions of myntra sale. So these are the famous brands that will be available in sale.Some other brands will also be available in the sale on huge discount. - The Game Of Points:- Do you want that extra discount on your purchase? Then this section of the sale is for you. 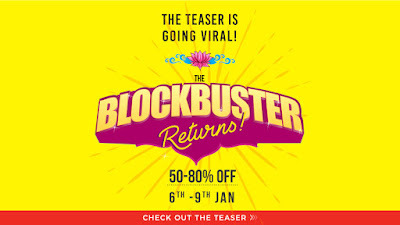 - During the time of sale two games will be available on application of myntra named “Guess The tape” and “Pictionary”. You simply have to play the games and get the myntra points as your reward. You can use these Myntra points to get the discount on your purchase.But the discount will be given according to the terms and conditions of the company.So pull your socks up people to get your favorite celebrity inspired outfit from this blockbuster sale. 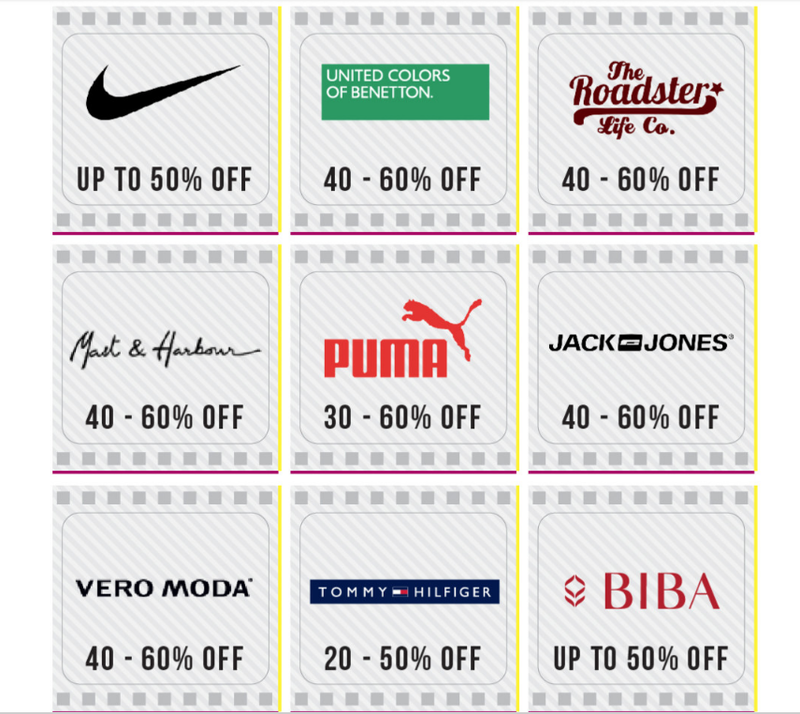 Myntra end of Reason sale is the biggest sale from myntra, which is basically the clearance sale. You will get huge discount on clothing items and footwears as well. The offers in this sale are mostly the steal deal and you can also get the discount on different credit cards.Last time there was a huge discount on citibank credit cards. 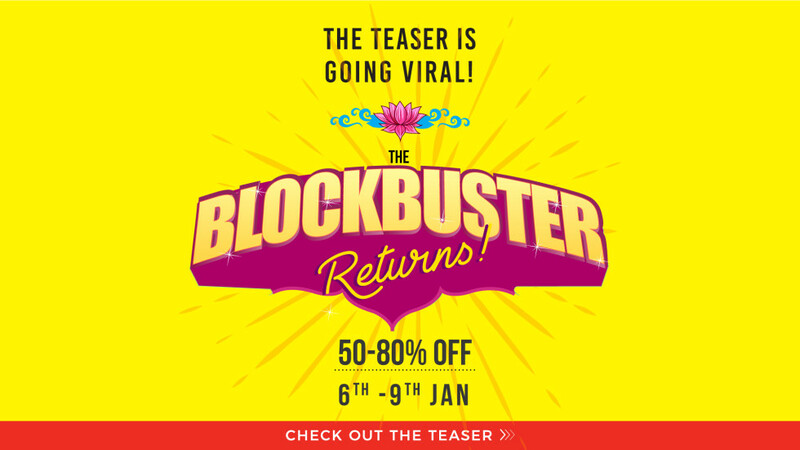 On the other hand the block buster sale from myntra is the first sale from myntra this year. And they are providing huge discount on different clothing brands. There is discount on celebrity inspired/styled outfits which was not available in End of Reason Sale.In the blockbuster sale you will get the discount on YES bank credit cards, so if in case you have missed End of Reason sale, then you can get the deals in this Blockbuster sale from myntra.